The Population Research Institute has a wealth of information as well. Acts 6:8: Stephen Full of Grace Too? In response to the clear implications of Lk 1:28, some point out that in Acts 6:8, Stephen is referred to as "full of grace and power." Acts 6:8 And Stephen, full of grace and power, did great wonders and signs among the people. Does that mean that he was sinless too? The answer is, "No." There are in fact many differences between the two passages that effect their meaning a great deal. The most obvious difference is in the Greek. In Lk 1:28, "full of grace" is the translation of kecharitomene, which, as we have seen, is the perfect passive participle of charitoo, in the vocative case. But, in Acts 6:8, the underlying Greek is pleres charitos (or in some manuscripts, pleres pisteos, which denotes faith, not grace). When the Greek is different, then the meaning usually is too. In Lk 1:28, Mary is being acted upon by God. This action took place in the past with results that continue into the present. Fullness and perfection is implied by the verb, and this verb is used as Mary's name. In Acts 6:8, Stephen isn't given "full of grace" as his name. Instead, the phrase simply describes something that took place in the past with results completed in the past. A continual or perduring grace is not implied by the verb. He was filled with grace at the moment and only for as long as he was performing great wonders and signs among the people. The implications of the Greek are simply not the same. And, like I said before, older translations (cf. KJV, Wesley's NT, Geneva Bible, Bishop's Bible) and even some modern ones (Third Millennium Bible, YLT, Webster) have "full of faith and power," in which case there is really no parallel at all. Eph 1:6 to the praise of his glorious grace which he freely bestowed (echaritosen) on us in the Beloved. 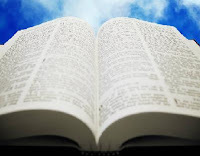 The KJV, which says, "wherein he hath made us accepted," and the DRB, which says, "in which he hath graced us," perhaps give us a better understanding of the underlying Greek then most modern translations. The word here is echaritosen. While it does have the same base word (charitoo) as kecharitomene, since the inflection is different, the meaning is different. Eph 1:3-6 Blessed be the God and Father of our Lord Jesus Christ, who has blessed us in Christ with every spiritual blessing in the heavenly places, 4 even as he chose us in him before the foundation of the world, that we should be holy and blameless before him. 5 He destined us in love to be his sons through Jesus Christ, according to the purpose of his will, 6 to the praise of his glorious grace which he freely bestowed on us in the Beloved. Eph 4:7 But grace was given to each of us according to the measure of Christ's gift. Jas 4:6 But he gives more grace; therefore it says, "God opposes the proud, but gives grace to the humble." 2 Pet 3:18 But grow in the grace and knowledge of our Lord and Savior Jesus Christ. To him be the glory both now and to the day of eternity. Amen. The "freely bestowed" grace of Ephesians 1:6, then, cannot possibly be considered the equivalent of that "fullness of grace" applied to Mary. Lk 1:28 refers to a single gift of grace-fullness in the life of a person. Eph 1:6 refers to several measures of grace given to believers over their lifespan, and apportioned to each one individually as the Spirit wills (cf. 1 Cor 12:11). It refers to a huge group of people, with different gifts and various levels of grace bestowed. Because each gift is given to each believer in different measure, it does not result in fullness as did the one gift given to Mary. While on the surface this may appear to clearly contradict the doctrine of Mary's sinlessness, further disection of the original Greek behind this passage, as well as an examination of the context of the verse within the letter to the Romans reveals that Rom 3:23 is not as plain as one may think. Yet we know that not every person of Israel will be saved. Yet not every Roman could be filled with every ounce of knowledge. Yet surely not every single person in Jerusalem was troubled. Every single person in Judea? Every single person was moved? You get the idea. Now that we have established that "all" can in fact just mean "the majority," our next question is this: Is that the meaning of "all" in Rom 3:23? To answer this question, one must look at the context of the verse. While Paul's letter to the Romans is mostly known for its defense of salvation by faith, Paul is also interested here in how this salvation relates to the tensions between the Jews and the Gentiles. Each group claims that the other is better, or more favored by God. The Jews in particular boast of being under the law and God's chosen people. The verses that lead up to verse 23 are basically a hypothetical dialogue between the Jews and Paul. The Jew is here trying to find ways in which his sin cannot be counted as unrighteousness, yet Paul rebukes every one. The Commentary Critical and Explanatory on the Whole Bible (a Protestant commentary by Robert Jamieson, A. R. Fausset and David Brown, published in 1871) analyzes this exchange rather well and it gives further insight into the context of this verse that I think is essential reading. One can see from this exchange and the commentary on it that Paul's obvious intent here is to affirm that neither group is greater then the other. All the objections of the Jew are denied. "What then? Are we better than they? No, in no wise: for we have before proved both Jews and Gentiles, that they are all under sin" (Rom 3:9). Rom 3:23 is simply a repetition of this verse. So, we are beginning to see Paul's purpose for saying that "all have sinned." Rom 3:10-12 as it is written: "None is righteous, no, not one; 11 no one understands, no one seeks for God. 12 All have turned aside, together they have gone wrong; no one does good, not even one." Psalms 14:2-3 The LORD looks down from heaven upon the children of men, to see if there are any that act wisely, that seek after God. 3 They have all gone astray, they are all alike corrupt; there is none that does good, no, not one. In this passage, David is directly addressing the sinfulness of the Jews. Paul cites David to further affirm his point that the Jews are just as sinful as the Gentiles, and in that way, no better. David is not attempting here to make some broad statement about all of mankind. The surrounding verses make this abundantly clear. Two verses later he writes that "...God is with the generation of the righteous" (14:5). In the immediately preceding Psalm, David proclaims "I trusted in your steadfast love...." (13:5), which certainly is seeking after God. In the very next Psalm he refers to "those who walk blamelessly, and do what is right..." (15:2). Lk 1:6 And they [Zechariah and Elizabeth] were both righteous before God, walking in all the commandments and ordinances of the Lord blameless. What this shows is that Psa 14:2-3 (and consequently Rom 3:10-12) is a hyperbolic passage. We cannot take it literally because there are indeed good men. David is exasperated by the sin that is so prevalent among the Jews. Paul quotes these words as a harsh reminder to the Jews, as if to say, "Before you get so puffed up with pride because God chose you to be His people, think about the words of your Father David." If that weren't enough, a third set of proof that Rom 3:23 and 10-12 are not to be read as literal, all-encompassing judgments on all of mankind comes from common knowledge and everyday life. Even in the world today we do in fact find millions of people who have not sinned, and even some who never will. A baby in the womb: A baby not yet born is still a person, just like us, yet he has not sinned. This is even affirmed in Rom 9:11 when Paul says, "though they were not yet born and had done nothing either good or bad, in order that God's purpose of election might continue, not because of works but because of his call..."
Children below the age of reason: It is common knowledge that until a child's cognitive development has progressed enough to where he can properly determine right from wrong and understand the moral implications of his actions, he cannot sin. Most children below the age of 7 fall into this category. A vegetative or severely mentally-handicapped individual: I have a cousin who falls into this category. She cannot walk. She cannot talk. She is just as old as me, but forever confined to a wheelchair. This has been her situation since her birth. All of her needs must be met by other people. Because of her impairment she has never committed a sin. She never will. Once one understands the actual intent of these passages from Paul's letter to the Romans and acknowledges the realistic scope of their meaning, he can finally open his mind (as Scripture is open) to receive the Immaculate Conception. Actual Sin or Original Sin? Paul is obviously talking about sins of commission (turning aside, going wrong, deceiving, cursing, shedding blood) and omission (not understanding, not seeking God, not doing good) in this passage. These are things that the people are doing, which makes them actual sins, not original sin. Once it is established that Paul is referring to actual sins, then the responses I have given to the various Protestant objections up to this point regain their relevance. 1 Jn 1:8, 10 If we say we have no sin, we deceive ourselves, and the truth is not in us. 10 If we say we have not sinned, we make him a liar, and his word is not in us. 1 Jn 1:5-10 This is the message we have heard from him and proclaim to you, that God is light and in him is no darkness at all. 6 If we say we have fellowship with him while we walk in darkness, we lie and do not live according to the truth; 7 but if we walk in the light, as he is in the light, we have fellowship with one another, and the blood of Jesus his Son cleanses us from all sin. 8 If we say we have no sin, we deceive ourselves, and the truth is not in us. 9 If we confess our sins, he is faithful and just, and will forgive our sins and cleanse us from all unrighteousness. 10 If we say we have not sinned, we make him a liar, and his word is not in us. The context reveals that this passage is not about just any ol' sinner. This passage has in mind those people living in darkness, people who have not experienced the saving work of Christ and who think that they don't need Him. If you look at the pattern of the passage, verses 6, 8, 10 parallel each other, and verses 7 and 9 parallel each other. That means that it is those who walk in darkness (vs. 6) who say they have no sin (vs. 8) and make God a liar (vs. 10). But, Mary is not among those who walk in darkness and deny that they need Christ. Her spirit rejoices in God her savior! (cf. Lk 1:47) She has already experienced His grace in her life (cf. Lk 1:28), and handed herself over to His Will (cf. Lk 1:38). Her soul does not reject the Lord, it magnifies Him (cf. Lk 1:46). So, in a variety of ways I think this passage from John's first letter does not apply to her. The second way to approach this passage is the same way that we approached the passages from Romans: not all men have sinned. This passage from John need not be any more all-encompassing then Rom 3 is. If Mary was conceived without sin and committed no sins throughout her life, on what grounds then does she have to rejoice in the salvation of God, as she does in Lk 1:47? I think there are two ways to answer this question. First of all, consider for example the manner in which a person may be saved from a pit. He could be rescued from the pit once he has fallen in. That is one way. But, there is also another way: he could be prevented from falling into the pit in the first place. Catholics acknowledge that Mary was no different from any other human being in her susceptibility to original sin. In other words, she was due to inherit the stain just as we all are. The pit lay squarely in her path as it lay in the path of every man. But, in this solitary instance, God intervened and kept her from falling into the pit of sin. He did this by filling her with His grace. For a woman who committed no sin, that is essentially the only way that God could still be her Savior, as He undoubtedly is. If you think about it, God's saving work is perfected through this intervention. Now God can boast of not only freeing man from the pit of sin into which he is born and continues to fall, but also of actually keeping one from among mankind from falling into the pit in the first place. In this way, the Immaculate Conception gives glory to God and is a testament to the fullness of His saving power. Secondly, to counter this objection from an entirely different angle, a case could very well be made that the salvation in which Mary rejoices is not from spiritual forces, but material ones. God does not only save people from sin, or temptation, or hell, or the devil. Sometimes He also saves people from the plight of their physical circumstance. Theologians refer to this as "temporal salvation." Gen 49:18-19 I wait for thy salvation, O LORD. 19 Raiders shall raid Gad, but he shall raid at their heels. Exo 14:13-14 And Moses said to the people, "Fear not, stand firm, and see the salvation of the LORD, which he will work for you today; for the Egyptians whom you see today, you shall never see again. 14 The LORD will fight for you, and you have only to be still." Deut 23:14 Because the LORD your God walks in the midst of your camp, to save you and to give up your enemies before you, therefore your camp must be holy, that he may not see anything indecent among you, and turn away from you. 1 Sam 12:7 Now therefore stand still, that I may plead with you before the LORD concerning all the saving deeds of the LORD which he performed for you and for your fathers. Mt 8:23-25 And when he got into the boat, his disciples followed him. 24 And behold, there arose a great storm on the sea, so that the boat was being swamped by the waves; but he was asleep. 25 And they went and woke him, saying, "Save, Lord; we are perishing." Lk 1:46-55 And Mary said, "My soul magnifies the Lord, 47 and my spirit rejoices in God my Savior, 48 for he has regarded the low estate of his handmaiden. For behold, henceforth all generations will call me blessed; 49 for he who is mighty has done great things for me, and holy is his name. 50 And his mercy is on those who fear him from generation to generation. 51 He has shown strength with his arm, he has scattered the proud in the imagination of their hearts, 52 he has put down the mighty from their thrones, and exalted those of low degree; 53 he has filled the hungry with good things, and the rich he has sent empty away. 54 He has helped his servant Israel, in remembrance of his mercy, 55 as he spoke to our fathers, to Abraham and to his posterity for ever." Look what is happening here. "My spirit rejoices in God my savior." Why? "For he has regarded the low estate of his handmaiden." Because of what God has done for her -- preparing her for motherhood and then making her the mother of His Son -- she has gone from lowly servant of God, bound to obscurity, to all generations remembering and honoring her. This concerns her state in life, not her eternal salvation. That the parallel canticle from Zechariah also concerns temporal salvation ("from our enemies, from the hand of all who hate us") is further evidence that Mary is rejoicing in her temporal salvation, not her eternal reward. If that is the case, then Protestants can't use Lk 1:47, as they so often do, to discredit Mary's sinlessness. Of course, as we have already seen, even if Mary were referring to her eternal reward, it does little to refute the Catholic doctrine. Undoubtedly, there are still more objections to the Immaculate Conception that I have not addressed. But, I think that this tract in two parts is still one of the most comprehensive treatments of the subject that you'll find on the internet. I have certainly tried to respond as thoroughly as possible, and, as time permits, I may expand this tract to include other objections and responses as well. At any rate, I hope you find my work here to be of service as you set out to defend our Blessed Mother. Blessed Virgin Mary, Mother of God and the Immaculate Conception ... pray for us. First, I must acknowledge that there is no explicit verse that directly settles this issue. At the same time, I don't think that an explicit verse is necessary to prove that something is scriptural. I think that if a doctrine is implied in Scripture or logically follows from what we find in Scripture, and if there is nothing in Scripture that directly refutes it, then that belief can be considered scriptural. I think most people agree with me on that point, but it bears repeating, especially when considering the Marian dogmas. When it comes to Catholic beliefs about Mary, people tend to place demands on the evidence they will accept that are way more stringent and unyielding than the demands that they place on their own beliefs. And when it comes to Mary's sinlessness, there is a great deal of evidence. Gen 3:15 I will put enmity between you and the woman, and between your seed and her seed; he shall bruise your head, and you shall bruise his heel." The passage is called the Protoevangelium (or "first gospel") because it is the first time in Scripture where we see the promise of a Savior for mankind. While, literally, the woman in question is Eve, many scholars admit that Mary fulfills this prophecy. After all, it is her seed, Jesus Christ, who will crush the head of the serpent, defeating Satan with His own Passion, Death, and Resurrection. Rev 12:13-17 And when the dragon saw that he had been thrown down to the earth, he pursued the woman who had borne the male child. 14 But the woman was given the two wings of the great eagle that she might fly from the serpent into the wilderness, to the place where she is to be nourished for a time, and times, and half a time. 15 The serpent poured water like a river out of his mouth after the woman, to sweep her away with the flood. 16 But the earth came to the help of the woman, and the earth opened its mouth and swallowed the river which the dragon had poured from his mouth. 17 Then the dragon was angry with the woman, and went off to make war on the rest of her offspring, on those who keep the commandments of God and bear testimony to Jesus. As much as the devil wants her, he cannot have her. Why? Because the woman has been spared by God. When I see all this play out, I am left to wonder: If the "woman" is in fact Mary, how has enmity been placed between her and Satan? How has Mary been spared by God? Could it be that God preserved her from the stain of original sin? Could it be that she is "the woman" who the devil could not have? Beyond the plain fact that she is the mother of the offspring that will crush the head of the serpent, further support for identifying Mary with this "woman" is seen in Elizabeth's words to Mary in Lk 1:42 and Jesus' own way of addressing Mary in John's Gospel. I would like to take each one in turn. Lk 1:42 and she exclaimed with a loud cry, "Blessed are you among women, and blessed is the fruit of your womb! Judges 5:24 "Most blessed of women be Ja'el, the wife of Heber the Ken'ite, of tent-dwelling women most blessed. Judith 13:18 And Uzziah said to her, "O daughter, you are blessed by the Most High God above all women on earth; and blessed be the Lord God, who created the heavens and the earth, who has guided you to strike the head of the leader of our enemies. What's interesting about Jael and Judith is that both women are declared the most blessed above of all women. Why is this? Because in faith and courage they warded off enemy armies hostile to Israel. How did they do this? By literally dealing a mortal blow to the head of the commander of each army. Jael "put her hand to the tent peg and her right hand to the workmen's mallet; she struck Sis'era a blow, she crushed his head, she shattered and pierced his temple" (Judges 5:26). Judith, as we have just seen, was guided by the Lord to "strike the head of the leader of our enemies" (Judith 13:18). Now, Elizabeth is declaring Mary to be "blessed among women." Yet how can Mary stand in line with Jael and Judith, of whom similar statements were made, unless she too dealt a crushing blow to the enemy? If Mary is the "woman" from Gen 3:15, then we know exactly how she did this: by bringing forth the offspring that would bruise the head of the serpent. Just as the "woman" appears in the books of Genesis and Revelation, at the beginning and the end of "the Word" (the written Divine Revelation of God), so too does Mary, the "woman", appear at the beginning and end of "the Word" Jesus Christ, the final word of the Father. The apostle John, a symbol of the Church, becomes the son of the "woman" Mary just as all those who "keep the commandments of God and bear testimony to Jesus" are the offspring of the "woman" from Rev 12 (cf. vs. 17). It is easy then, based on this and on Jesus' clear identity as the "offspring of woman" who will "bruise the head of the serpent" in His destruction of the works of the devil (cf. 1 Jn 3:8), that Mary is the "woman" from Gen 3:15 and Rev 12, of whom the sting of death could not take hold and the poison of the serpent could not infect. Lk 1:28, 31, 42, 45, 48 (DRB) and Psa 93:5: Mary was a house of the Lord, and the house of the Lord is forever holy. Lk 1:35 and Exo 40:35: God overshadowed Mary just as He overshadowed the ark. Lk 1:39 and 2 Sam 6:2: Both Mary and the ark arise and go to Judah. Lk 1:41 and 2 Sam 6:16: David leaps with joy at the presence of the ark, just as John leaps at the presence of Mary. Lk 1:43 and 2 Sam 6:9: What David says at the coming of the ark is almost exactly what Elizabeth says upon the coming of Mary. Lk 1:56 and 2 Sam 6:11: Both Mary and the ark reside for 3 months in their new locations. Heb 9:4 and Jn 1:1; 6:51; Heb 5:4-5: Just as the ark of the Old Covenant contained the word of God on the stone tablets, the manna from heaven, and the rod of Aaron the great High Priest, so did Mary contain Jesus Christ, who is the Word of God, the Manna from Heaven, and the great High Priest. [E]very time the expression is used in the Old Testament, it forms part of the stories surrounding the Ark of the Covenant. In particular, it refers to the melodic sounds made by Levitical singers and musicians when they glorify the Lord in song. It thus describes the "exulting" voice of instruments that were played before the Ark as David carried it in procession to Jerusalem (1 Chron 15:28; 16:4-5) and as Solomon transferred the Ark to its final resting place in the Temple (2 Chron 5:13). Alluding to these episodes, Luke connects this same expression with the melodic cry of another Levitical descendant, the aged Elizabeth (Lk 1:5). She too lifts up her voice in liturgical praise, not before the golden chest, but before Mary. (Ignatius Catholic Study Bible, "The Gospel of Luke," pg. 21). But what does "Mary as Ark" have to do with her sinlessness? Don't forget: the tablets, the manna, and the priestly rod that were contained in the Ark were the holiest of all Jewish relics and represented the very presence of God to the Jewish people. As such, the container or "ark" that held them had to be made of the purest and most perfect materials. The ark itself was considered so holy that no one was allowed to even touch it, lest they die (cf. 2 Sam 6:7; 1 Chron 13:9-10). Just as the contents of the old covenant ark demanded a perfectly pure container, so does Christ, not as a matter of strict necessity (God could have took on human flesh from any woman) but because His holiness demands and deserves it. By preserving Mary from sin, God has prepared her to be the pure Ark of the New Covenant. Translating Lk 1:28: "Highly Favored" or "Full of Grace"? Lk 1:28 (RSV-CE) And he came to her and said, "Hail, full of grace, the Lord is with you!" The Greek word that is being translated as "full of grace" here is κεχαριτωμένη (transliterated: kecharitomene), the perfect passive participle of χαριτόω (transliterated: charitoo), which denotes grace. Some versions translate kecharitomene as "hail, thou that art highly favored," but that doesn't really capture the full meaning of what the angel Gabriel is saying here. For one, to translate charitoo as "favor" instead of "grace" is really to give a bare minimum translation of the word. Ultimately, kecharitomene is derived from the word χάρις (transliterated: charis): charis --> charitoo --> kecharitomene. The KJV translates charis as "grace" over 83% of the time. The KJV NT Greek Lexicon defines charitoo as "to make graceful, to peruse with grace" as it's primary meaning. When the favor is divine favor, "grace" is the better translation. You get the idea. Now that we know that charitoo is better understood in this instance as "grace" and not simply "favor," we must now consider what the perfect passive participle would mean. The website NTGreek.org, which provides instruction on the Koine Greek of the Gospels, tells us (here) in the section "Grammatical Voice of Verbs" that the passive voice indicates that the subject of the sentence is being acted upon (instead of performing the action, which is the active voice). Further down on this same page, in the section on "Verb Tenses" we learn that the perfect tense indicates that this action was completed in the past, with results that continue into the present and are in full effect. The action is the giving of grace. So, kecharitomene, the perfect passive participle of charitoo, would literally mean, "you who were and continue to be full of and completed in grace." Blass and DeBrummer's Greek Grammar of the New Testament says [emphasis mine]: "It is permissible, on Greek grammatical and linguistic grounds, to paraphrase kecharitomene as completely, perfectly, enduringly endowed with grace." This is the single instance in all of Scripture where the verb charitoo is used in this way. There is a completeness here with a permanent result. There is a fullness and a perfection to the grace that Mary has received. She wasn't given grace like we are given grace. She was filled with grace, completed in grace, perfected in grace, and this fullness of grace persisted, it continued up to and through the present. Put aside your presuppositions for a moment and just look at the evidence. This is amazing what has happened here! Note that sin and grace are opposed (Rom 5:20-21), and grace saves us from sin (Eph 2:5,8). Where there is fullness of grace, there is no room for sin. That's why we claim that Lk 1:28 points to the sinlessness of Mary. Something else that is interesting about this word kecharitomene is that it is in the vocative case. NTGreek.org tells us (here) that the vocative is "the case of direct address. It is used when one person is speaking to another, calling out or saying their name, or generally addressing them." In other words, Gabriel is literally calls Mary "full of grace" as if that were her name. This is important because in the Bible, a person's name often points to an essential element of that person's nature, or the person's defining characteristic. Jacob's name was changed to "Israel" because he wrestled with God. Abram was called "Abraham" because he was to be the father of many nations. Now the angel has called Mary by a different name: kecharitomene. No one in the Bible is so defined by the grace he or she has received that this state of grace becomes that person's name. Yet, so it is with Mary. More and more I think that, as we dig deeper into the meaning of kecharitomene, we find that Mary is a uniquely graced individual. We have already seen how Elizabeth's words echo similar exclamations from the Old Testament and how this confirms Mary's identity as the "woman" of Gen 3:15; Rev 12 and the Ark of the New Covenant. Even with all this, we have yet to exhaust the implications of this verse upon Mary's sinlessness. What I would like to address here is what the phrase, "Blessed are you among women" would have meant to the people of Elizabeth's time and culture. The Greek here is attempting to express a Hewbrew/Aramaic idiom that Elizabeth is using in response to seeing Mary. The idiom is baruchah att minnashim, "blessed [are] you from women," which is another way of saying, "You [are more] blessed than [other or all] women." Hebrew and Aramaic do not have superlatives, but they do have ways of expressing the superlative sense: for example, "Holy of Holies" means "Holiest." Technically, this phrase in Lk 1:42 is a comparative, but when you have a comparative where one party is an individual and the other party is everybody else, it ends up with the force of a superlative. If Mary is more blessed than other women, then she is the most blessed of all women. It's a grammatical comparative with the force of a superlative. You may be asking yourself, "Why is this important?" For some reason, most Catholic apologists simply point out that Mary was the most blessed of all women and they never tell the reader what bearing that has upon the dogma of the Immaculate Conception. I think the answer is found once we examine why it is that Elizabeth called Mary, "blessed among women." The obvious reason, of course, is because Mary, out of all the women who have ever lived, was chosen to be the mother of our Lord. That certainly makes her the most blessed woman there ever was. But, I think there is also another reason. After all, Mary said of herself, "henceforth all generations will call me blessed" (Lk 1:48). Why? "for he who is mighty has done great things [plural] for me" (Lk 1:49). Her unique motherhood would only be one thing. So, what else has God done in her life that has made her more blessed than any other woman? I think that something else is the unparalleled divine favor, or grace, that He has given her. Within the context of the account of the Annunciation and the Visitation, the Incarnation and her miraculous motherhood is ever present. But, her very real gracefulness is there too. "Hail, O favored one" [or "full of grace"] (Lk 1:28); "you have found favor with God" (Lk 1:30); "My soul magnifies the Lord" (Lk 1:46). Why else did God choose her above all other women to be the mother of our Lord? What was it about this particular woman that made her suited for the task? Only Catholics have an answer to that question, and we believe that it is found in the words of the angel. The Holy Spirit overshadowed her and caused our Savior to be conceived within her because God had already prepared her for motherhood by filling her with his grace. Thus, she is "blessed among women" not just in her motherhood but in the preparation for motherhood that she received. There is really no point in history in which this was not the common belief of all Christianity until the Protestant Reformation, one thousand and five hundred years after the birth of the Church. I realize that some Protestants couldn't care less about that, but to me that is very significant. The mere novelty of the Protestant objection is I think the first mark against it. In Part 2, I will tackle some of the objections that are often raised against this dogma. Is It Always a Sin to Be Angry? How do we reconcile the fact that Jesus states that no man taketh his life from him (cf. Jn 10:17-18) with him being killed on the cross by the Romans? The word "take" usually has the connotation of removing something from the possession of a person against that person's will, as opposed to "receive," which is an open acceptance of what someone else possesses, or "retrieve," which has a connotation of finding something and possessing it once you find it. So, when Jesus says that no one "takes" his life from Him, he means that no one kills him without him first willing it. If he did not will to die, then there was nothing that anyone could have done to kill him. Remember Jesus words to Peter, who had tried to keep the priests and their soldiers from seizing Jesus: "Do you think that I cannot appeal to my Father, and he will at once send me more than twelve legions of angels? But how then should the scriptures be fulfilled, that it must be so?" (Mt 26:53-54). As a side note, I must point out that the Romans are not the only ones to blame for the death of Jesus. There was also the chief priests and the elders (cf. Mt 26:3-4), Pontius Pilate (cf. Mt 27:2), Judas (cf. 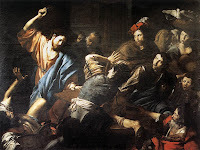 Mt 26:14-16,47-49), Herod and the gentiles (cf. Acts 4:27-28), and the Jews who demanded his crucifixion (cf. Mk 15:13-14). I would say that Peter's ministry was primarily to the Jews, but not exclusively. After all, he was the one who spoke in the Spirit at Pentecost to men of all nations (cf. Acts 2:14-41). Also, it was to Peter that God gave the vision validating the Gentiles as men worthy of the Gospel (cf. Acts 10:9-16,28; 11:5-10), and it was Peter who converted the household of Cornelius, the first Gentile converts (cf. Acts 10:44-48; 11:15-18). Finally, Peter himself says, at the Council of Jersualem: "Brothers, you know that some time ago God made a choice among you that the Gentiles might hear from my lips the message of the gospel and believe" (Acts 15:7). 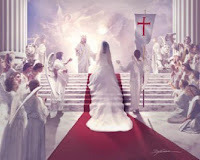 In Revelation 22, it seems like "the nations" (v.2) is distinct from "the bride" (v.17). Who is "the nations" and who is "the bride"? Rev 22:17 a. The Spirit and the Bride say, "Come." And let him who hears say, "Come." b. And let him who is thirsty come, let him who desires take the water of life without price. Now, I always thought that the "Come" of the Spirit and the Bride, and the "Come" of he who hears was directed towards Jesus. Just as in the end of the chapter, where we see Jesus promise that He will come and St. John give voice to the cry of the Church ("Come, Lord Jesus!" cf. vs. 20), so in vs. 12 Jesus promises that he will come and in vs. 17a, the Church (the "Bride"), inspired by the Holy Spirit, says, "Come." In 17.b., the "come" is directed to all those who are not a member of the Church. The Bride is inviting them to come and join her bridal party, come and join the wedding banquet, where he who is thirsty can come and drink. Zech 14:2-3 For I will gather all the nations against Jerusalem to battle, and the city shall be taken and the houses plundered and the women ravished; half of the city shall go into exile, but the rest of the people shall not be cut off from the city. 3 Then the LORD will go forth and fight against those nations as when he fights on a day of battle. According to my Navarre Commentary, the prophecy in Zech 14:11 that nothing shall be accursed is a reference to the Jewish practice of having to slay entire nations and peoples in a land that God gave them to inhabit so that the Jews would not have to mingle with pagans and idolatrous practices. If that is the case, then when Rev. 22:2-3 says that there will be healing to the nations and no more will there be anything accursed, I think that means that there will finally be peace on earth, and no longer a need for the battles they had to take up in order to remain pure. Perhaps this peace between Jerusalem (an image of the Church) and the surrounding nations comes by way of the conversion of these pagan people. Verses 2-3 seem to say that once there is healing for the nations there will only be the Lamb and his servants. They are healed b/c they eat of the fruit from the tree of life and vs. 14 says that those who eat of the tree are those who have "washed their robes," which is an image of salvation (being washed in the blood of the Lamb). So, short answer: the Bride is the Church, and the nations are those non-Christian peoples who will enter into the Church by the grace of God. What do you think? Holla back. What does it mean when Paul says in 1 Corinthians 3:6, "I have planted, Apollos watered; but God gave the growth"? I think what 1 Cor 3:6 is saying is that there is some instrumental causality that can be attributed to us, when we do the good work of proclaiming the Gospel and bringing people to Christ. But, the first cause is always God. He is the unseen force behind every good thing, and any fruit that comes from our work should ultimately be attributed to Him. Paul is pointing this out to the Corinthians b/c they were getting too caught up in the man and were forgetting the God behind the man. Jealousy and strife was being stirred among them based on who exactly it was who taught each one of them, as if one group was better than the other b/c they learned from Paul instead of Apollos. I would like to contribute some thoughts on this, in defense of Fr. Stravinskas. Now, I have watched the entire debate and, I admit, Fr. Peter Stravinskas did not do well. James White is renowned for his skill as a live debater. I think the good father was just a little flustered and overwhelmed, and he wasn't able to anticipate all of the arguments that White would raise. If Fr. Stravinskas lost, it wasn't because of any weakness in the Catholic position but because of weakness in the man presenting it. His response to the questioner in the crowd was particularly unfortunate. He articulated the Catholic position in a very sloppy and inadequate way. But, I know what he meant to say and so I would like to articulate that with more precision. I'm sure some of you will think that I am "eisegeting" the priest's words or saying that he meant something that he didn't actually mean, but I'm telling you, I know what the Catholic position is, I know what he believes, I know what the Church teaches about this. Whether you accept that or not is up to you. Now, Catholics believe that when you sin, this has an eternal effect (on your relationship with God) and a temporal effect (on the Body and really the world). Suffering, death, pain, sadness, all of these are the conseqence of sin. They are "temporal" consequences b/c they effect our experience of this world and of each other, which is a temporal existence, or an existence confined by time. We also believe that every Christian has a responsibility to rectify or remedy the negative effect that there sin has caused. They rectify the eternal effect through conversion of heart and repentence. They rectify the temporal effect by responding to the grace of God which compels us to perform acts of charity and to obey the command of Christ to love one another. Just as sin wounds the body, charity heals the body, uplifts the body, edifies the body. Almsgiving is one of these works of charity ("love") that builds up the body and rectifies the negative consequences of sin on the body. If you do not properly rectify the temporal consequences of your sin in this life, then this remains as an imperfection on your soul when you die. Since these are temporal consequences of sin, they have no effect on your eternal destiny. So, a person can die and be fit for heaven while still having these imperfections on his soul (attachment to sin, or "concupiscence" and venial sin are other such imperfections). Since nothin unclean shall enter heaven, God, with the grace that he won for us on the Cross, cleanses us of these imperfections. God is a refining fire, and so the soul that must undergo this purging by God will undoubtedly experience some suffering. But, he also has the knowledge that heaven will be his, and this undoubtedly sustains him. Knowing all this, one is able to finally understand what Fr. Stravinskas meant when he said, "Pay it now or pay it later." In other words, you can pay for the temporal consequence of your sin now by doing acts of charity (motivated by God's grace) or you can pay for it later, by undergoing the the purging of God. It's not like you can write the Church a check and forgo this purging. No one is paying there way out of Purgatory. Almsgiving is simply one of many good works that build up the body and rectify the temporal consequence of sin. Here is my response to McMahon's second article on the "apocrypha." See also Part 1. I think this second article is substantially weaker than the first article. At least with the first one he tried to engage Catholics on their own terms. With this article, he's basically trying to say that the phrase "the prophets" encompasses the entire OT and since, according to him, none of the deuterocanonical books were written prophets, they don't belong. Pretty silly stuff, as I hope to reveal. Again, like last time, McMahon's words will be indented and mine flush to the left. Syllogism: These apocryphal books were not written by the prophets, therefore they are not canonical. Entire syllogism: All canonical books of the OT were written by prophets: none of the apocryphal books were written by any prophets: therefore they are not canonical. The Major premise rests on Scripture: Peter says the OT is the “prophetic word.” (2 Peter 1:19); Paul calls it the “scriptures of the prophets” (Romans 16:26); Zacharias the priest says “As he spake by the mouths of his holy prophets, which have been since the world began.” (Luke 1:70); “They have Moses and the Prophets” as Abraham said (Luke 18:39); Luke wrote, “Beginning at Moses and all the prophets, he expounded unto them in all the Scripture the things concerning himself.” (Luke 24:24; cf. Rom. 1:2); Heb. 1:1, “God spake in divers manners by the prophets.”; the church is built upon the “apostles and prophets” (Eph. 2:20); “All things must be fulfilled which are written in the law of Moses, and in the prophets, and in the psalms, concerning me:” and it follows immediately, “And he opened their understanding, that they might understand the Scriptures.” (Luke 24:44-45); Paul asks Agrippa, “Believest thou the prophets?” – that is the Scriptures. (Acts 26:27); When Paul dealt with the Jews at Rome he tried to convince them “out of the law of Moses and the prophets.” (Acts 28:23). From these we see that the major assertion is true, that the whole OT was given to us by God’s prophets. There is no part of the OT which was not given by the prophets. The entire OT canonical Scriptures are deemed in the following way: 1) the prophets; 2) Moses and the prophets; 3) Moses, the prophets, and the psalms. The Law contained the five books of Moses in the unvarying order of Genesis, Exodus, Leviticus, Numbers, and Deuteronomy. The Prophets comprised the four books of the Former Prophets, in the unvarying order of Joshua, Judges, Samuel, Kings; and the four books of the Latter Prophets, Isaias, Jeremias, Ezechiel, Minor Prophets (all twelve counted as forming one book). The Writings comprised the remaining eleven books, the poetical works, Psalms, Proverbs, Job, the five Megilloth, or Rolls (Canticle of Canticles, Ruth, Lamentations, Ecelesiastes, Esther), and finally Daniel, Esdras, Nehemias, Chronicles -- twenty-four books in all, though perhaps more frequently reckoned as twenty-two by counting Ruth with Judges, and Lamentations with Jeremias. Lk 24:27 (not 24:24) And beginning with Moses and all the prophets, he interpreted to them in all the scriptures the things concerning himself. Lk 24:44 Then he said to them, "These are my words which I spoke to you, while I was still with you, that everything written about me in the law of Moses and the prophets and the psalms must be fulfilled." "Moses and the prophets": that's two different collections. "The law of Moses and the prophets and the psalms": that's three different collections. That means that "Moses" (which is a reference to the Penteteuch) and "the psalms" are not "the prophets." Does that mean we should reject these books? What about the books that constitute "the Writings"? Should we reject those to? Once you let "the prophets" mean what it's supposed to mean instead of straining it to encompass the entire Old Testament, then you see that McMahon's argument is destructive to his own canon, not simply the Catholic one. That the apocryphal books were not written by the prophets are clear and certain. All confess that Malachi was the last Jewish prophet. Between Malachi and John the Baptist, no other Jewish prophet arose, but the writers of the apocryphal books lived after Malachi. Even the RCC does not deny this. Well, we've already established that his rule for determining canonicity here is absurd and self-defeating. But, let's assume that, in some fairy tale land where basic rules of exegesis don't apply, it's actually true that every book must be written by a prophet before it can be considered canonical. This too can be defeated based on the fact that many of the books in question were in fact written by prophets. For thus speaks the Prophet, when he would shew that the fountain of life is with God, (Baruch 3:14) — “Learn where there is prudence, where there is virtue, where there is understanding, where there is length of life and food, where there is light to the eyes and peace.” (Psychopannychia, online here). Pretty interesting stuff for any Calvinist who attempts to use "authorship by a prophet" as proof for the canonicity of a book. They were written in another language (Greek – more on this later) rather than the prophetic tongue of Hebrew. The numerous quotations of the fathers affirm this, the RCC does not deny this. Oh come on, this guy doesn't even know the most basic facts about his subject matter. Two of the books were written in Greek -- Wisdom and 2nd Maccabees -- but the rest of them were written in either Hebrew or Aramaic (which is a very close derivative of Hebrew). Most importantly, if these books had been written by the prophets, Christ would have quoted them and used them as witness to himself, as he did with the others. Christ nor his apostles quoted the apocrypha. It is a useless case to strain the idea that they may have alluded to it. In the witness of Christ, or the apostles for Christ, they never quoted the apocryphal books (more on this later). Case closed, as far as quotation by a NT book is concerned. These apocryphal books were not received by the church of the Israelites; therefore they are non canonical. Syllogism would be as such: The ancient church of the Hebrews received and approved all the books of the OT; The church did not receive these books; therefore they are not canonical. They were received by the Greek speaking Jews by way of the Septuagint and they were received by Jesus Christ and the Apostles, who quote from the Septuagint considerably more often than they quote from the Hebrew canon, and who quote from the deuterocanonical books in the examples I have already provided. Of the approximately 300 references in the NT to an OT book, about 2/3 of them came from the Septuagint. The deuterocanonical books were received by the Jews, they were received by Christ and the Apostles, and they were received by the early Church. There's simply no getting around that. Major proposition is easy to show: If the church had removed such a large portion of the “Scriptures”, they would have been thoroughly rebuked by Christ for doing so; or even by the apostles – which they were not. The Jews were blamed for putting wrong senses on the Scriptures (see Christ’s repeated arguments with the Pharisees, Sadducees and Scribes), they would have received a greater and more stern condemning word for removing the “scriptures” altogether; which was never the case. Christ would be negligent not to rebuke and reprove them of this, being the eternal Word, which he never did. This argument is simply ahistorical. Jesus was not alive to rebuke the Palestinian Jews, when they finally rejected the Septuagint canon, or the Protestants, when they followed suit 1500 years later. Josephus attests to the care and strictness of the Jews who cared for the OT canon, without the inclusion of the apocrypha – see Eusebius, Lib. III. Cap. 10.2.) Augustine and all the fathers accept the truth of this. Also, if the Jews did err in this, not accepting the apocryphal books and excluding them from the canon, then the church erred, and the RCC would never accept that, since there is only one true church. I accept that the Protestant churches have erred. The Catholic Church has not. For everyone understands and knows that these books were never included in the OT canon, no matter how familiar they may have been to anyone. Everyone? Good grief, what a sweeping assertion. They were included in the OT canon of the Septuagint. The Palestinian Jews rejected the Septuagint canon at least in part for anti-Christian reasons, because they saw how frequently the Christians were utilizing the Septuagint. Yet now, so many years later, Protestants hold up the Hebrew canon as the rule? I just don't get that. What follows is a debate that took place at the HCR forum. Someone posted two articles by Dr. C. Matthew McMahon (from the "A Puritan's Mind" website) on the Catholic canon, which includes, as he sees it, certain "apocryphal" books. Both articles very lengthy, and there are in fact 3 more articles that I didn't bother responding to. I just wanted, at least with these two, to expose the errors in them and defend the Catholic canon of the Bible. Let the games begin! McMahon's words will be indented, mine will be flush to the left. So the RCC argument is this: these councils and these fathers affirm these books to belong to the sacred canon, therefore these books are canonical. This has been the official position since Trent’s dogmas. That is not the extent of the Catholic argument, just one of many. I deny the whole of the major premise by the RCC for a variety of reasons. Neither will the rest of Scripture. The Bible doesn't tell us which books should be in the Bible, so the idea that "the Scriptures themselves must stand the test in and of themselves and account for their own veracity" is pretty silly to me. 2) Trent was no general council, though the RCC esteems it as such. However, Akanus Copus (in Dialog Quint. C. 16.) states that there were fewer bishops at this council that at any other. And the total of those in attendance was less than fifty. If this is a provincial council, fine. But a general ecclesiastical council I in no way accept, nor do many RCC fathers. First of all, his number of those in attendance is incorrect. On the first day of the Council, there were at least 85 present, but definitely more since the legates of Germany were also present but we don't know how many of these there were. The number fluctuated up and down as the Council progressed, from as low as 68 to as high as 235. 215 signed the final decrees of the final session. So, yea, 50 is a little off. You have to keep in mind that various wars and Protestant kings and princes threatened the Council from the very beginning, pretty much doing everything they could to disrupt it. This, of course, also accounted for the absences of so many bishops. So, it's not like the number was less than expected b/c bishops were protesting or b/c certain bishops weren't invited. This is also a time before trains, planes, and automobiles, so the trek to Trent was not exactly easy. That said, I'd like to know who these "many RCC fathers" were who rejected the council b/c it's news to me. The Council of Trent has always been considered a General (or "Ecumenical") Council. 3) The council of Carthage was provincial and composed of a few bishops; there is no authority in them, by themselves, to make a judgment of this kind having been provincial and not general. No one ever said that the councils of Carthage and of Hippo were initially meant to be General Councils or universal in their authority. These councils are important insofar as they provide for us two of several articulations within the Tradition of the Church of what was considered canonical Scripture. They tell us that, in the late fourth century, the Church in Africa utilized a canon equal to that of the current Catholic canon. To anyone who cares at all about the history of Christianity, that is very significant. Even in their own canons at that council (canon 26.2) states “the bishop of the chief see shall not be called high priest, or chief of the priests, or by any such title.” They cannot bind those by the authority they refuse upon themselves. Oh, gimmie a break! Why would they convene a council in the first place if they didn't believe that they had authority to do so or that their decrees wouldn't be authoritative for the African people? That's ludicrous. They weren't abrogating their own authority, they were simply defining what was a legitimate title for a bishop. 4) The RCC says the Trullan council of Constantinople (which was a general council) approved the Carthaginian council. But if the decree of the number of canonical books was legitimately approved, then that also concerning the title of high priest was confirmed by the same sanction, which they will never concede, and shows their authority to be false. How will they divide these things? I acknowledge the Trullan council as ecumenical, but the RCC themselves doubt what should be determined of the authority of the canons which are attributed to the council (as I agree with Whitaker). Pighius, in his own writing calls this council “spurious, and by no means genuine.” Melchior Canus too (Lib. V. cap. Ult.) declares the council to have no ecclesiastical authority. There are some things in the canons which they do not approve of - that the bishop of Constantinople is equal with the Roman, canon 36; that priests and deacons are not to be separated from their wives, canon 13, etc. It is a strong objection to the credit and authority of these canons, that the 85 canons of the apostles are approved and received in them (canon 2) – but Pope Gelasius (Gratian, Dist. 15. C. Romana Ecclesia) declares the book of the apostolic canons apocryphal. And Gratian (Dist. 16.5) says, that there are only 50 canons of the apostles, and they are apocryphal, upon the authority of Isidore who says they were composed by heretics under the name of the apostles (and he said there were only 60). More this can be cited, but I stop at wearying you to show you the point that their inconsistencies within the councils are numerous and contradictory to one another, for: If these are true and genuine canons of the apostles, then the RCC is refuted in their opinion of the number of canonical books of the OT and NT by the authority of the canons of the apostles. If they be not, as it is plain that they are not, then the synod of Constantinople erred, when it approved them as apostolical. Yet the RCC denies that a general council can err in its decrees respecting matters of faith. How will the RCC reconcile this except by denial and side stepping? First of all, it is possible to approve certain decrees of a council without approving the entire council. Secondly, whether or not the Council of Trullo erred in some way is really a non-issue, since this council has never been considered a General Council of the Church. No "side-stepping" is necessary, just about 3 minutes of research. For the woefully ignorant, a list of all 21 General Councils can be found here. 5) Thus, I can judge what force and authority is to be allowed to the canon of this council of Constantinople; and what sort of persons the RCC are to deal with, who both deny that these canons have any legitimate authority, and yet confirm the sentence of the Council of Carthage by the authority of these very canons. Canus (Lib. II. Cap. 9) proves the authority of the council of Carthage, in enumerating the number of books because of Trullan, yet the same man in Lib. V. cap. 6. ad argument. 6., makes light of the authority of these canons, and brings many arguments to break them down. Consistency? For one, we don't confirm the authority of the Council of Carthage based on the authority of the Council of Trullo. I have never seen a single theologian or apologist do this, nor any Catholic textbook, encyclopedia, or dictionary. Whoever this "Canus" guy is, his unique defense of Carthage is his own. Secondly, just b/c we say that the Council of Trullo does not have universal authority, it does not follow from this that we also reject the canon of Carthage that Trullo approved. In other words, Trullo's affirmation of the canon of Carthage was correct, but their authority to make this or any other affirmations was not universal in nature. 6) Gelasius in his council with 70 bishops receive 1st Maccabees, and one Esdras, rejecting 2nd Maccabees (which is apocryphal) and Nehemiah, which is canonical. I tried to look this up, but was unable to find anything, so I'm not quite sure what he's talking about here. At any rate, if this took place within the first 5 centuries of the Church then it exists along the other arguments that comprise the debate over what was canonical. No one denies that these books were debated in the early Church. My point is that, once we emerge from the early Church period, Christianity had settled upon the canon as it exists in the Catholic bible. 7) Before the RCC can press all men with the authority of these councils, they should themselves determine, as Whitaker says, whether it is at all in the power of any council to determine what books should or should not be received (which they have not done consistently). For this is doubted among many RCs, as Canus confesses in Lib. II. C. 8. The major premise stated as the RCC proposition does not hold. Doubted by many RC's? That's ridiculous. It is Catholic doctrine that General Councils are binding upon the whole Church. My response to point #6 works for points 8, 9, and 11 as well, which is really just more of the same (McMahon pointing out that there was disagreement in the early Church). There's no point in repeating myself [see the article if you want to read what those points were]. The "Five Books of Solomon" that the council is referring to are Proverbs, Ecclesiastes, Song of Songs, Wisdom, and Sirach (or "Ecclesiasticus"). The author of these books is actually a separate topic all together (I don't really see how it bears upon this debate), but it should be noted that, at one time or another, all five were attributed to Solomon. 14) There are two kinds of “canonical” books – some contain both the rule of faith and morals; these are properly called Scripture – canonical in the strict sense. Others are helpful by way of moral alone, but no rules. Any book I read which spiritually edifies my soul is helpful as far as morality is concerned, but does not bind my conscience. The Scripture is Porto-canonical, the apocrypha may be deemed Deutero canonical because they do not combine both a bind upon faith and morals. Here Jerome stands, as well a Cajetan. The RCC is greatly angered by these men and their view – but they are Rome’s champions. The prevailing attitude of Western medieval authors is substantially that of the Greek Fathers. The chief cause of this phenomenon in the West is to be sought in the influence, direct and indirect, of St. Jerome's depreciating Prologus. The compilatory "Glossa Ordinaria" was widely read and highly esteemed as a treasury of sacred learning during the Middle Ages; it embodied the prefaces in which the Doctor of Bethlehem had written in terms derogatory to the deuteros, and thus perpetuated and diffused his unfriendly opinion. And yet these doubts must be regarded as more or less academic. The countless manuscript copies of the Vulgate produced by these ages, with a slight, probably accidental, exception, uniformly embrace the complete Old Testament Ecclesiastical usage and Roman tradition held firmly to the canonical equality of all parts of the Old Testament. There is no lack of evidence that during this long period the deuteros were read in the churches of Western Christendom. As to Roman authority, the catalogue of Innocent I appears in the collection of ecclesiastical canons sent by Pope Adrian I to Charlemagne, and adopted in 802 as the law of the Church in the Frankish Empire; Nicholas I, writing in 865 to the bishops of France, appeals to the same decree of Innocent as the ground on which all the sacred books are to be received. It is no small thing that these deuterocanonical books were being read in the liturgy. "Lex orendi, lex credendi" -- The law of prayer is the law of belief. One of the best ways to learn what the Church believed at any particular time is to look at how she prayed, how she worshipped, how she structured her liturgy. 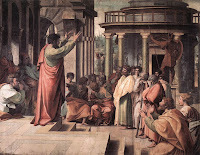 Certain academics and theologians may have revived the debate on the deuterocanonical books, but, "on the ground" so to speak -- where people were teaching, learning, reading, praying, living -- these books were considered canonical. 15) Thus, the arguments so far are weak at best, crumbling to the ground based on the history of the RCC alone, its contradictory councils and its own theologians. I shall write next on why the apocryphal books cannot be included because they have not been written by any prophet, and show the importance of this. I look forward to it, and intend to write a point-by-point rebuttal of the last part of McMahon's article as soon as time permits. PS: From here you may proceed to Part 2.